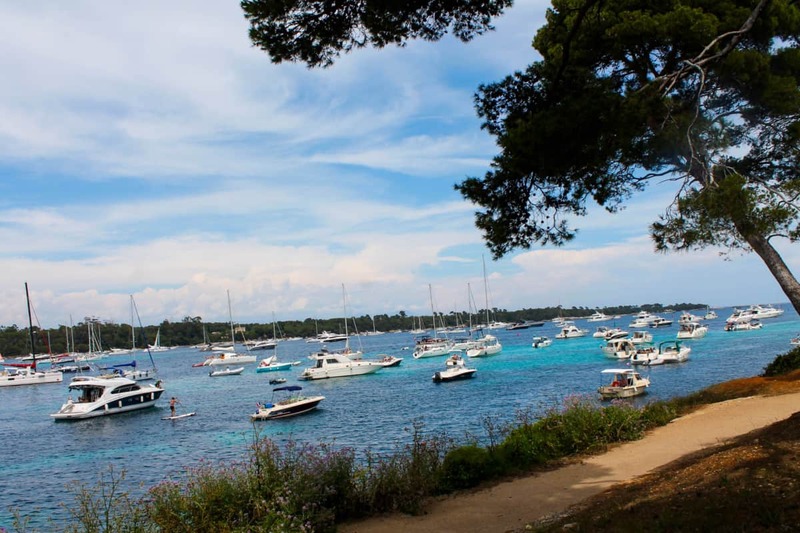 Visit Ile Saint Honnorat. 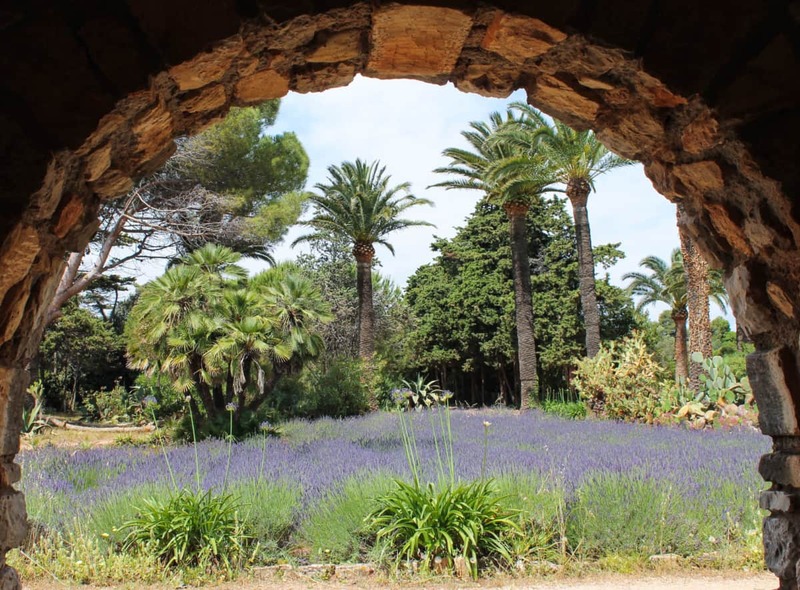 If you are staying anywhere near Cannes on the Cote d’Azur, I recommend a visit to Ile Saint Honorat. Spend a day on this peaceful and beautiful island and you will have very special day. Luxury travel. 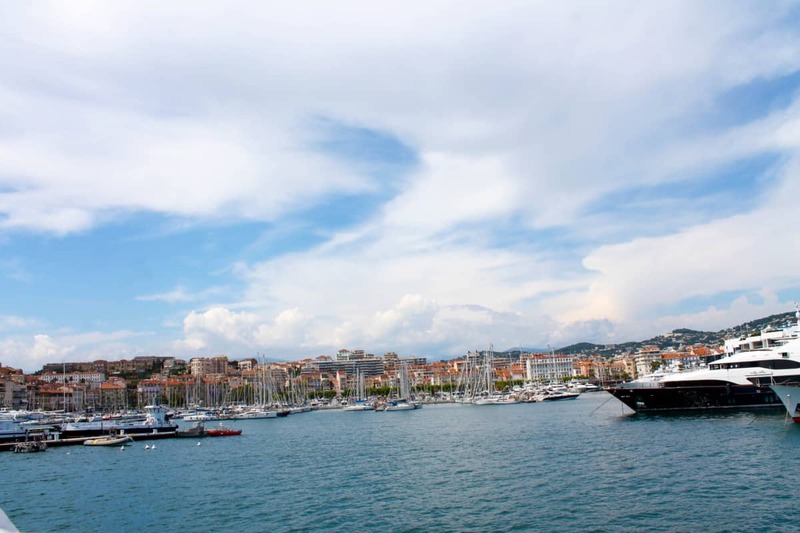 Firstly, you have to get there and ferries run from the port of Cannes every hour on the hour in summer time and the trip is very short,just 15 minutes. You can of course hire your own boat and moor off shore or in a tiny harbour on the island. The waters between the two Iles de Lerin are really popular with yachts and there is a veritable traffic jam in the summer months as people all enjoy the crystal clear sea water and beautiful environment. 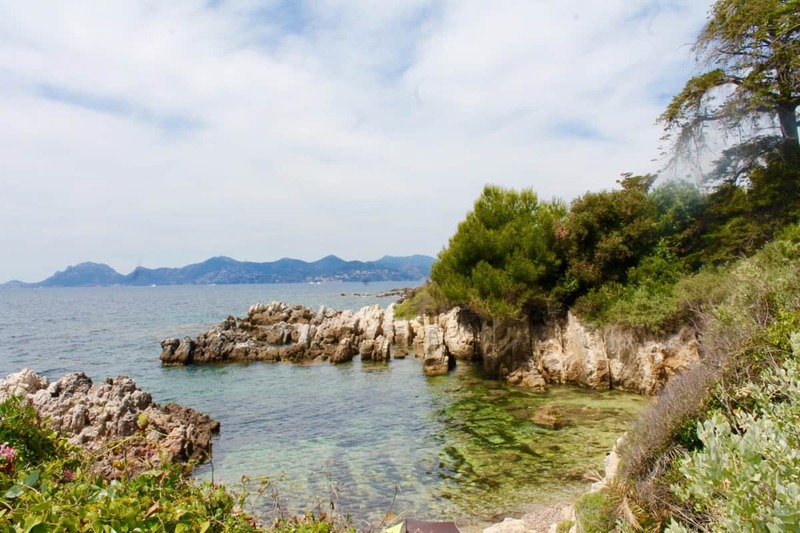 The water between the two Iles de Lerins is always popular in summer! 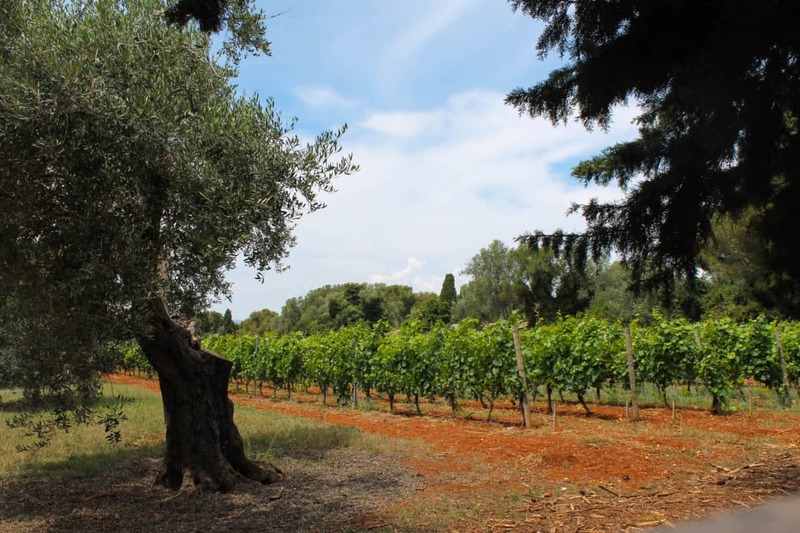 I like to take a stroll round the island taking a peek at the immaculate vineyards, growing a variety of grapes which are then turned into delicious wine by the monks living on the island. The plants and flowers are wonderful and a lot of work must go into making everything look so perfect. I adore the feeling of peace and tranquility on the island, as soon as I step ashore all stress seems to miraculously vanish. 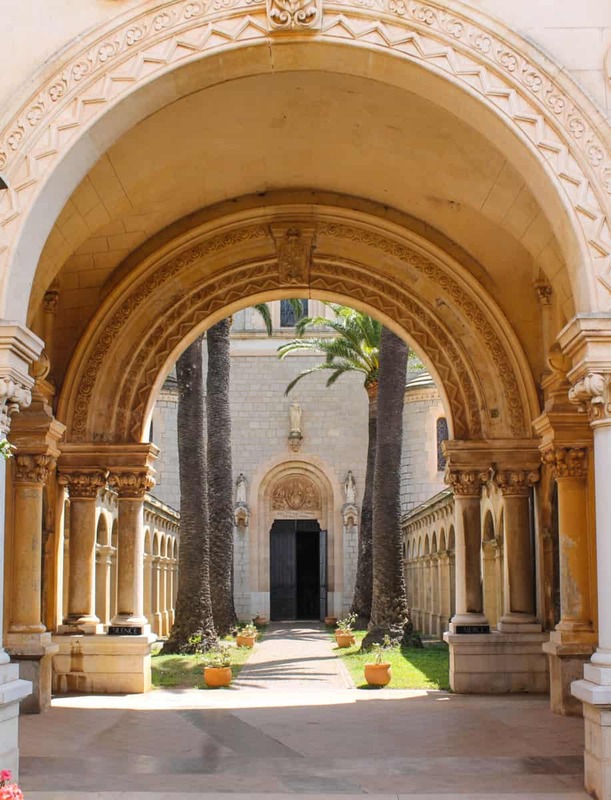 There is a very special atmosphere here, after Saint Honoratus founded a monestery in the year 410 and 16 centuries of monastic life on the island interrupted here and there. 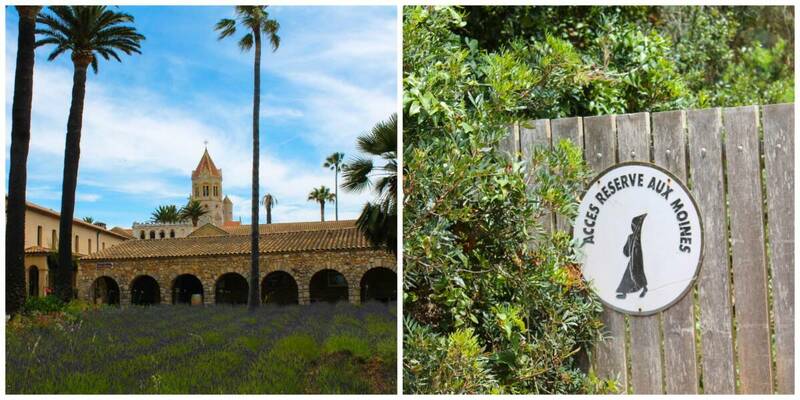 The Cistercian monks have lived and worked on the island and living a life of prayer in the Abbaye since 1869. 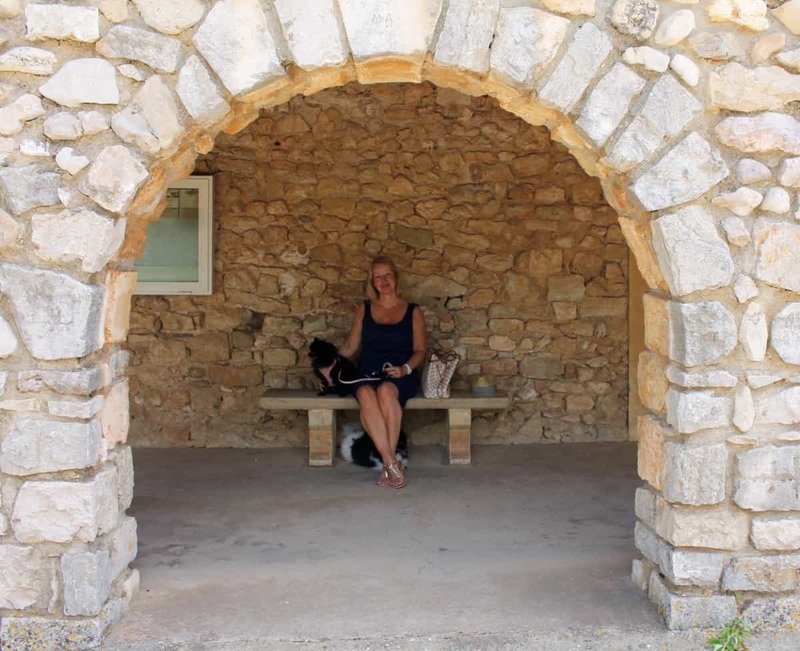 Dogs are welcome on the island, Freddie and Zarya enjoyed their day out. 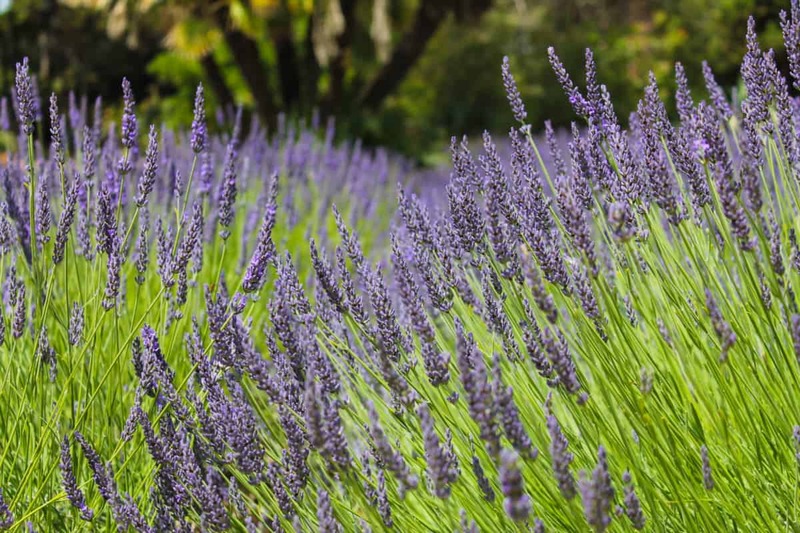 After a walk, visit the Abbaye which is absolutely stunning with the most beautiful gardens. 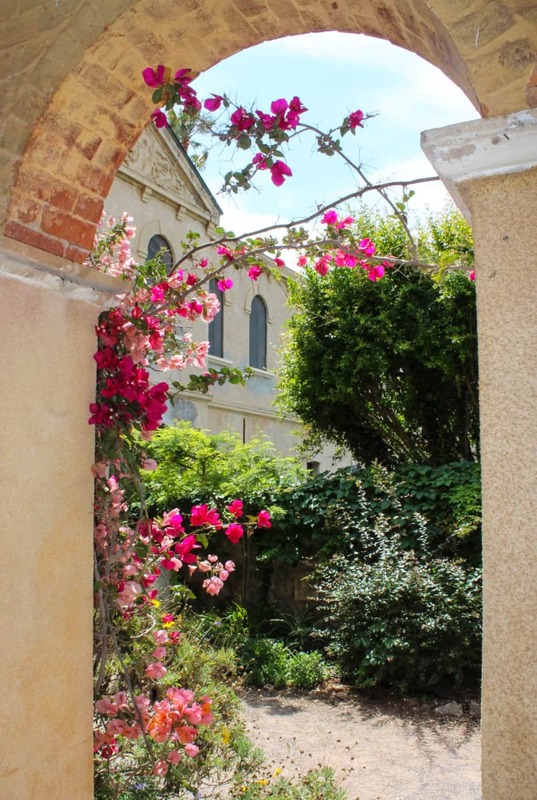 I can’t honestly say I have ever considered becoming a monk but a visit to Ile St Honnarat makes me think that it is a very wonderful way of life. 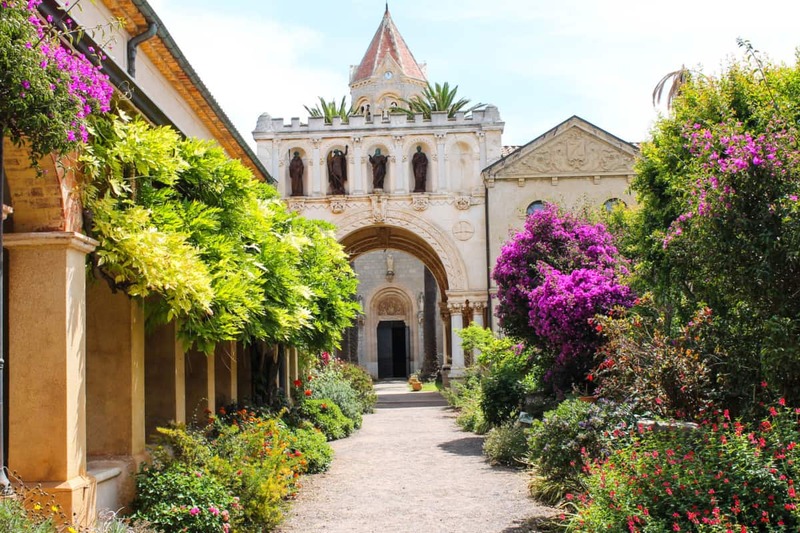 The Abbaye organises retreats for people to go and stay on the island, which must be a perfect place for contemplation. 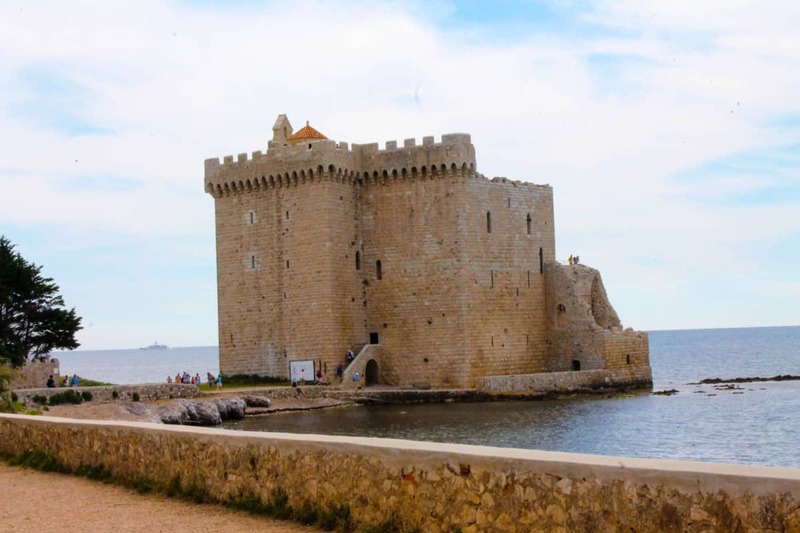 A short stroll away teetering on the sea edge is a 15th century fortified monastery which you can also visit. Don’t forget to pop into the shop by the Abbaye and buy some products made on the island by the monks, including honey and olive oil. Then Time for lunch at Le Tonnelle Restaurant a short 5 minute stroll away. The food is delicious, as is the wine. The island and the restaurant allow dogs, so Freddie and Zarya were able to come along and enjoy the day too. 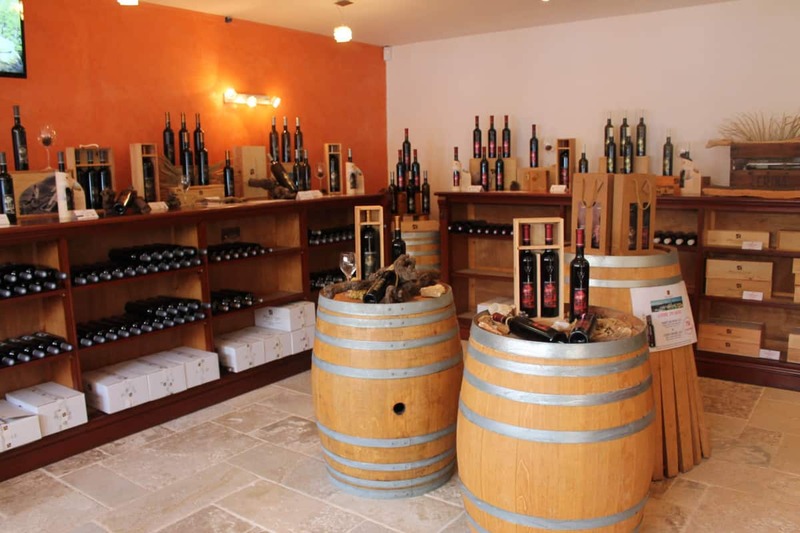 You can buy some wine to take home at a pretty shop right by the restaurant. After lunch, time for a little nap and swim in one of the pretty coves that you find dotted around the island so don’t forget to pack your swimwear. You can wear a swimsuit for a little swim but dress respectfully everywhere on the island and don’t wander around scantily clad. After a reviving cup of tea back at Le Tonnelle restaurant, head back to Cannes on the ferry. The end of a perfect day! The view on the boat ride home to Cannes at the end of a lovely day!